They claim JP Chase is holding over 550 million ounces of real silver and has been shorting the market and dumping paper contracts to force the price down as they buy it up while shorting. This is nothing more than a counterfeiting con job! They are driving everybody into the $ and US stocks for what reason ? the last haircut of the middle class and silver will go to the moon shortly. All is not well in dollar land. The dollar is at a 14 year high but countries around the world are selling it at a record pace. Oil and the dollar have an inverse relationship. A high dollar is causing trouble for China's banking system. Taco wrote: All is not well in dollar land. The dollar is at a 14 year high but countries around the world are selling it at a record pace. Oil and the dollar have an inverse relationship. People are selling off their dollars precisely because dollars are worth more than their native currencies. It makes sense to use the strongest currency in your reserves when your currency is comparatively weak. Analysis like yours is what happens when people that don't understand economics in the slightest try to make sense of it. Well, this Economist disagrees with you so f**k off. One economist. An old cook no doubt, just like you can find one scientist or doctor that is stupid enough to believe anything. When the apocalypse yet again does not come, I will be here to again remind you of any you should feel embarrassed for yourself and your constant incorrect predictions. 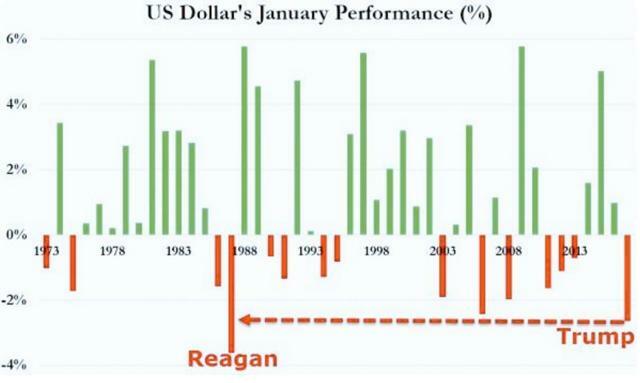 The dollar should be at a 14 yr low not a 14 yr high. They can't get rid of it fast enough. You don't want to be on the wrong side of this trade. 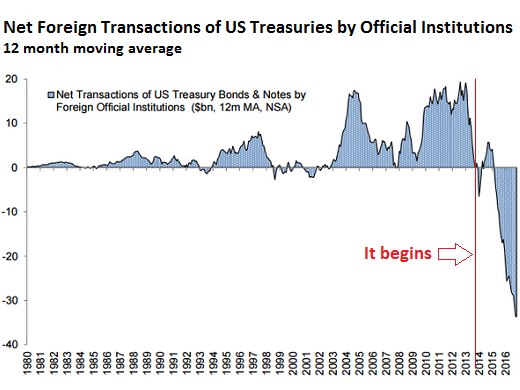 Why would Japan be setting up to deal directly in the Yuan bypassing the $ ? House what is there to understand, the worlds masses have been conned by a bunch of counterfeiting con men. This is the end result of bankrupt nations being conned by legal fiction and economically conquered which is always ultimately enforced at gun point. You are the one who does not understand economics and the reason to attach your currencies to real production and agreements by the citizenry of the world if you want to remain solvent nations? 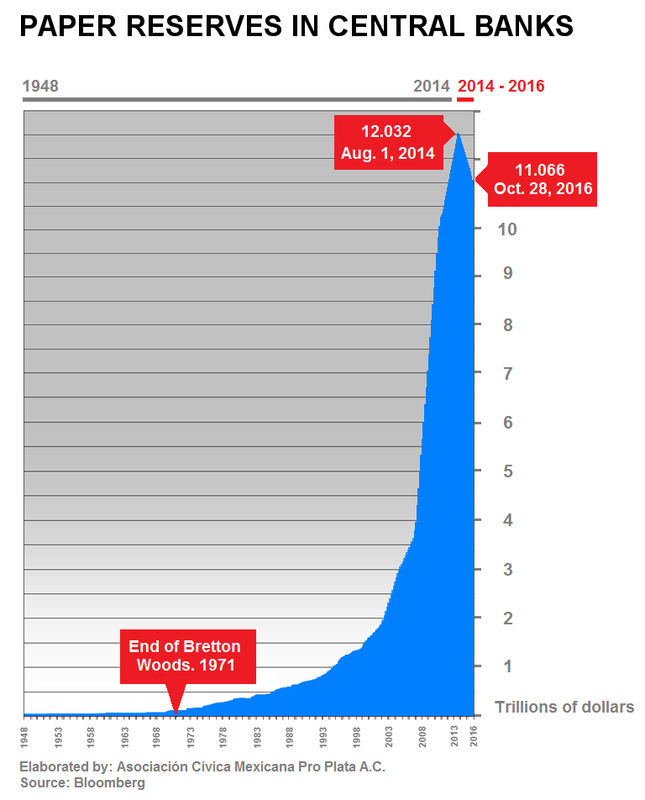 The US is about to see a hyperinflation situation on it's imports. The Donald is in there trying to negotiate for the coming new system where America is not totally parted out to the creditor class who set this con game up under the guise of the communal dictatorship. No, the US dollar should not be low right now. Currency strength is a relative measure. The rest of the world is comparatively less stable and financially sound than the US. If you understood finance nearly as well as you pretend to and were actually correct, you could make a fortune by shorting currencies and futures. You are, however, a broken clock, right every one and a while but completely incapable of predicting when another recession might occur. And the really big failing you have is that you don't understand how recessions can be a good thing if you have capital- buy low, sell high, short before things go bad, and you'll end up a very rich man. But you're too busy cozying up to your computer desk and "alternative news" to actually figure out how things really work and how to make money come rain or shine. Moretorque wrote: Why would Japan be setting up to deal directly in the Yuan bypassing the $ ? You've been saying all of this for as long as I've been here, and you've always been wrong, and will continue to be wrong, and will go to your grave as the world continues to happily move on and its economies continue to function. You'll die having never done anything great, all because you believed it wasn't worth doing since you erroneously thought the world would end any moment now. So enjoy your wrongness and self righteousness, I'm sure it will bring you great comfort in your final days as the life drains from your body and nothing of what little legacy you have remains around you. House this is the same thing they did in Britain transferring the sterling pound to the $ in 1944 as the world reserve currency then converting it to the Petro $ after they reneged on gold payment to the bond holders overseas, it takes a while to set all this up and it has not been going according to plan as they have desired so the system has been extended in the baton transfer. You of all should know being a Dr. an engineering project of this magnitude takes patience and proper maneuvering by the elite so the sheeple fall for their bull chit yet again. I predict this Zionist house of cards will implode and for sure China is set up to come out the other side in much better shape than the USA which will more than likely be a crap hole shortly when she blows. Americans are going to take a major major hit in their standard of debased living coming up shortly. This is nothing new, you are just a little misinformed on how the play book works so go watch " the Greatest Story Never Told ". It is a legitimate system in the sense that no system is a legitimate system. Money isn't real, regardless of what it is made out of- paper, gold, silver, bullets- most things we agree to utilize as currency are valued far more than their intrinsic value, which is almost always nothing or very little. Take gold- aside from industrial and electronics applications, it has no reason to hold any value. You can't eat it, fuel your car with it, or make anything useful out of it. The same goes for paper money. That's what conspiritards fail to understand- intrinsic value is directly related to how useful something is, not how rare it is. So we instead use currency that has what is ultimately an agreed upon relative value. The US economy won't collapse because, and this is going to shock you, but there is very little reason for the world to devalue our currency, as our currency benefits almost everyone. HouseMD wrote: I have the necessary measures in place to deal with basically any situation that could hit the world (aside from global thermonuclear war, as my bunker is not going to be finished for three more years). Mind giving some details about that bunker? HouseMD wrote: It is a legitimate system in the sense that no system is a legitimate system..
Last edited by Moretorque on February 17th, 2017, 3:43 am, edited 1 time in total.